A northwestern Ontario OPP officer now faces a charge under the Police Services Act, after being involved in a fatal collision two years ago. 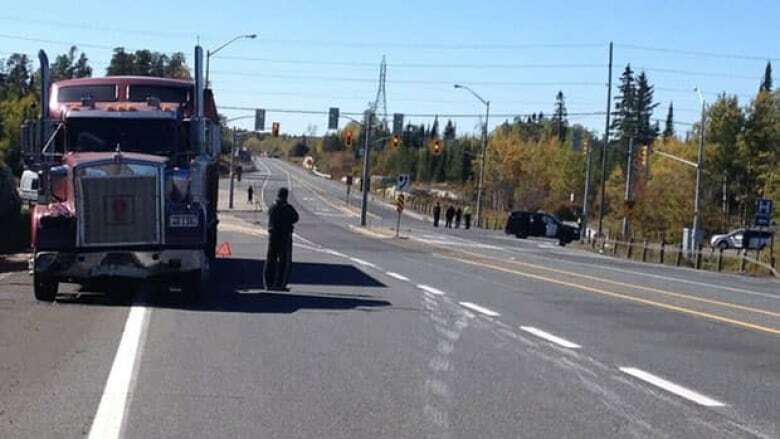 A northwestern Ontario Provincial Police officer faces a charge under the Police Services Act, after being involved in a fatal collision two years ago. Const. Troy Bender was originally charged with dangerous driving causing death, after Gloria Assin, 42, died after the police cruiser she was in collided with a tractor-trailer near Kenora, Ont., in September 2012. Assin had been picked up for public intoxication and was sitting, without a seat belt on, in the back of the car. The criminal charge was withdrawn by the Crown, and Bender subsequently pleaded guilty to careless driving under the Highway Traffic Act. He was fined about $1,100. The OPP said Bender has now been charged under the Police Services Act with discreditable conduct. Police spokesperson Const. Shelley Garr said there is "an ongoing" process under the Act, but no date for a hearing has been scheduled. In the meantime, the officer is back at work on general patrol.